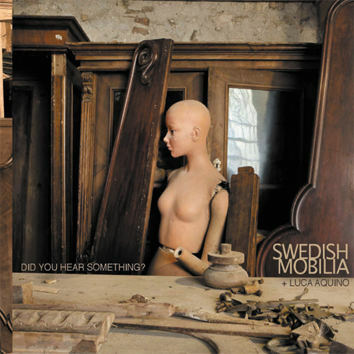 LEO RECORDS: CD LR 673: Swedish Mobilia + Luca Aquino - Did You Hear Something? This is the second CD by Mobilia on Leo Records: Andrea Bolzoni - guitar + live electronics, Dario Miranda - bass + live electronics, Daniele Frati - drums + percussion. However, this time they invited to the recording session a brilliant trumpet player Luca Aquino whose lyricism adds a lot to the robust sound of Swedish Mobilia. The sound of "Did you hear something?" is totally unique — a natural evolution of Swedish Mobilia's language. Their music can be fierce and sweet, delicate and extreme at the same time. It is totally Improvised, yet it sounds as if it was meticulously rehearsed.